Tell us a bit about your role at Connected. I currently help manage the Engineering Guild alongside an amazing leadership team. 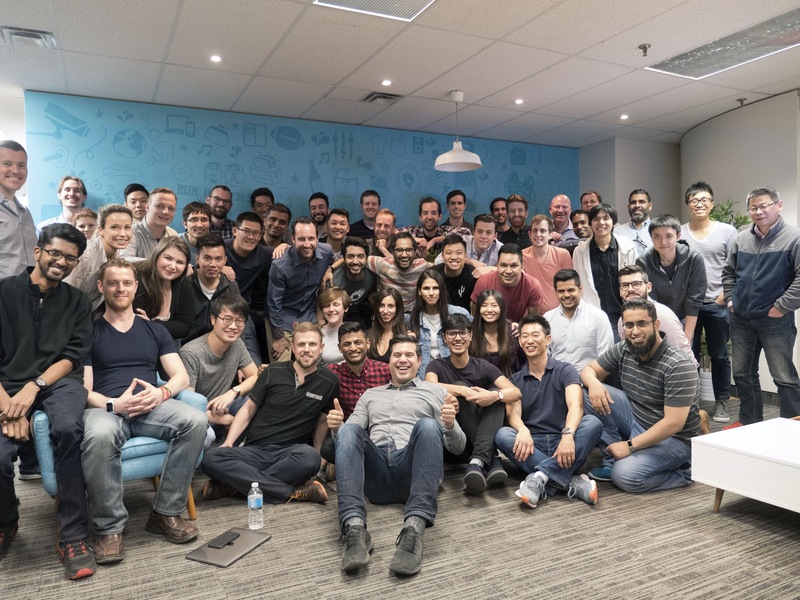 We focus on the growth of the guild—whether that’s through recruitment, professional development, project sponsorship/support, or driving Connected’s engineering culture to be the best in the industry. Anything you’re willing to brag about? I graduated with distinction (top 10%) in the Software Engineering class of 2007 from the University of Waterloo, a program that had, and still has, the highest entering averages of all engineering and computer science programs at UWaterloo. 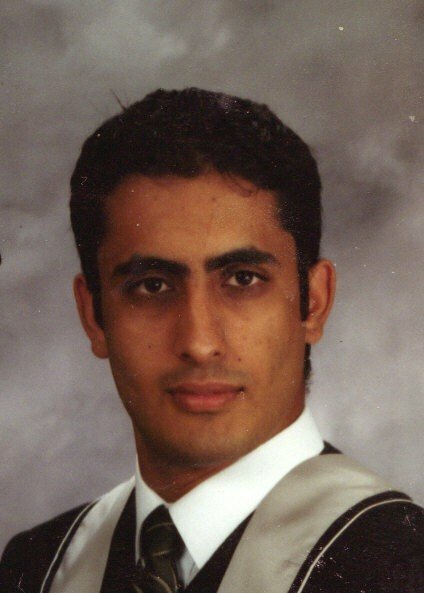 Uzair’s graduation photo, sans beard. What about some career highlights? In a previous job at Rogers, I led the effort to create the Maclean’s Magazine app for iPhone, which ranked #1 in the Magazines & Newspapers section on the App Store in Canada. At my last company, Digiflare (now Accedo), I helped with many initiatives and engagements, one of which included setting up and guiding a team to build and release the CNN app for Apple TV, which was listed on Apple's Best of 2016. Aside from Rogers and Digiflare, where else have you worked? I have a long history of workplaces, most of which were in consulting or developing. I’ve worked for PointClickCare, Quickplay Media, Rogers Media, Thoughtcorp (now EPAM), Camilion Solutions (now SAP), and Deloitte Consulting, along with various intern roles at IBM, Bell Canada, and Symcor. I also ran my own part-time consultancy called AppFlex, where we hired trusted freelance developers to create mobile applications for clients around the world. What products have you worked on or been involved with prior to joining Connected? Authority Suite 5.0, Camilion Solutions’ (now SAP) main insurance policy administration system, and a large Oracle Supply Chain ERP implementation and integration for Rogers. 😱. That’s quite the track record. So what is it about Connected that stands out for you? I've helped recruit, mentor, and train some of the most talented and smartest engineers I've ever had the privilege to work with. Truly. Connected has an amazing culture of “smart, kind, reliable people teachers and learners” and I find we really live up to those values. It's hard to describe how tight-knit and collaborative our team is. There's a lot to take in at Connected when you first start, and you’ll want to take some time to digest it all, but feel free to reach out and talk to people on various teams too. Don't feel shy to find out what others are working on: people are very friendly and open to telling you about their work. It also helps to engage in company and guild rituals such as company-wide demos, Thursday Roundtable, cross-project reviews, coding katas, Web Test Club, Apple professional development sessions, design review sessions, and all the rest. They’re one of the best aspects of being in a collaborative environment, because you learn so much from them. Connected celebrating their first Top SME in Canada award in 2016. Uzair is bottom-right. Wise words. How are you liking managing? One of the coolest parts about helping lead engineering at Connected is that I’m able to shape multiple and divergent career paths. Not all engineers are alike, as I’ve learned first-hand, and I'm using this knowledge to help pave a much more defined and personalized career path for each individual. We want to empower our engineers to play to their individual strengths and get even better. I love spending time with my wife, three kids, and my huge extended family. My grandfather and mother came to Canada in 1960, and as a result, I have a very large extended family here. When we have parties, we have over 70 family members attend! I also like to watch TV shows and movies (especially the comic book movies), play video games, and work out. On the side, I help out my wife with managing finances and operations on her own business, Shocute, in which she sells baby car seat covers across North America. 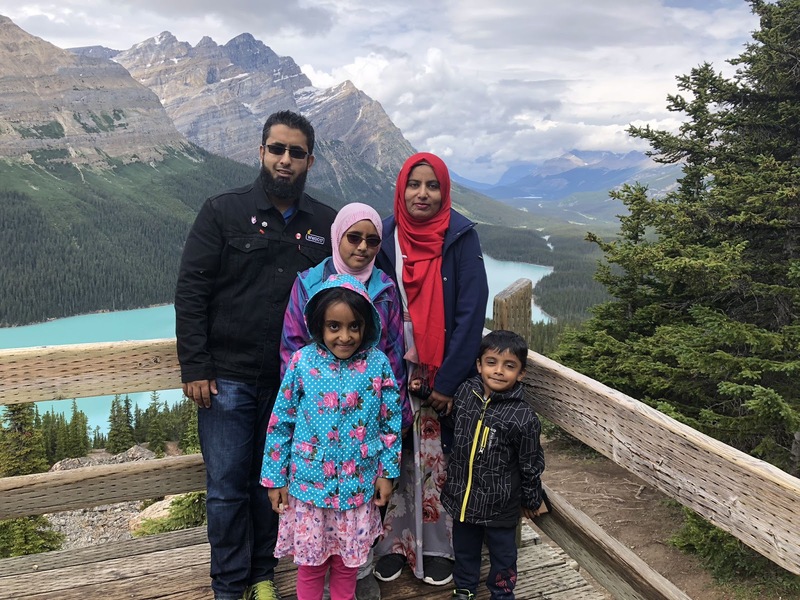 Uzair with his family in Banff. What hobbies or side projects do you have outside of work? I teach multiple Islamic classes at a local mosque on the weekends. I am a very religious person and spend lots of my personal time studying Islamic sciences. 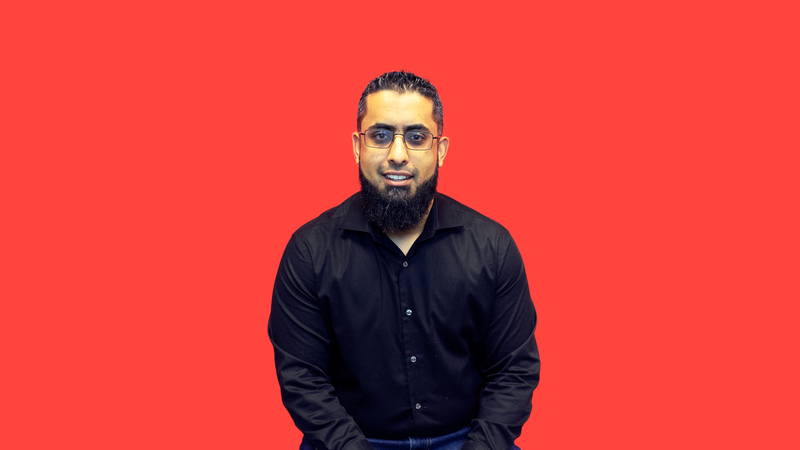 I have achieved a Bachelor’s degree in Islamic Studies from a part-time Islamic Institute, and have achieved multiple certifications and accomplishments in the Islamic sciences. Congrats on the degree! Any other hobbies? One of my big hobbies right now is collecting comic books. I’ve been avidly expanding my collection. Highlights include a collection of The Amazing Spider-Man, which is complete going back to at least 2010. Eight years ago, I had an idea to create a seamless mobile checkout application for retail stores (specifically warehouses like Costco). I wished I had pursued the idea at the time, as now many retailers are producing such a solution, the most well-known being Amazon Go. You would have been a millionaire. Aside from projects, any weird talents? Haha. Ok last but not least, what’s your favourite spot in Toronto? I would say the Rogers Centre (though it will always be known as the Skydome to me), but only when the Blue Jays are winning! Stay tuned for more profiles about the great people here at Connected.